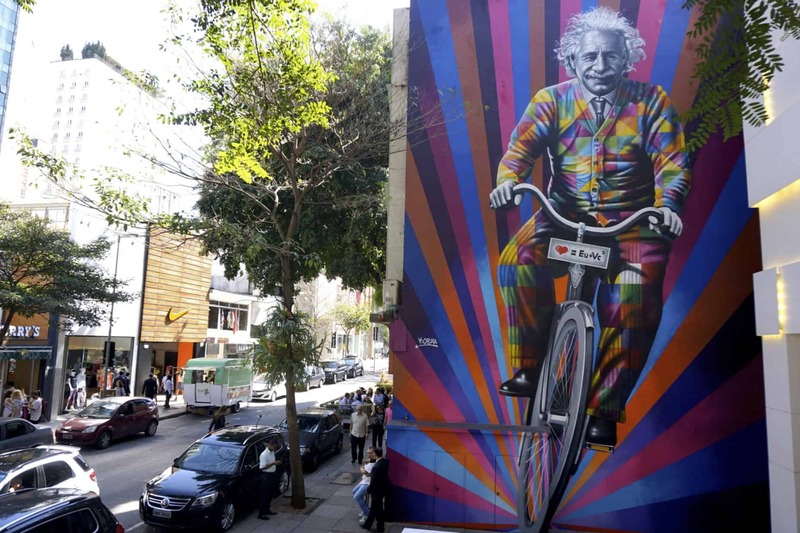 Let’s talk about brazilian artist Eduardo Kobra, who is the greatest graffiti artist in the world. 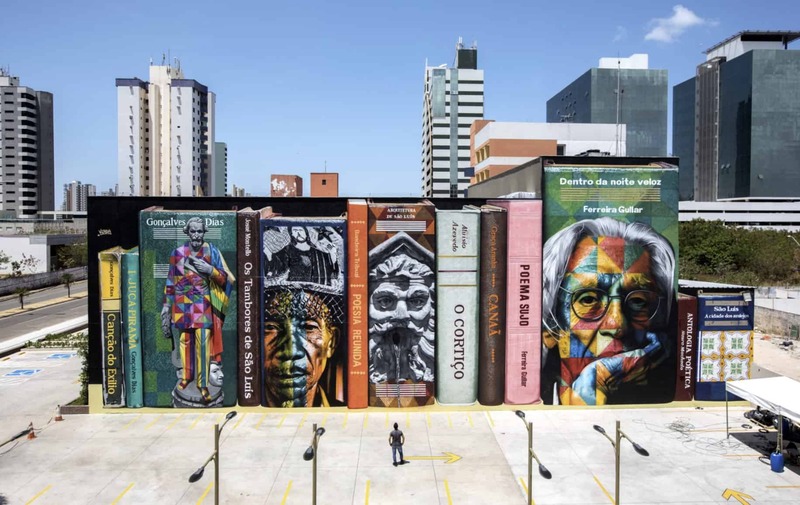 He started painting in São Paolo’s suburbs and one year ago he stayed in Lisboa’s suburban neighborhood of Marvila for the MuroFestival. 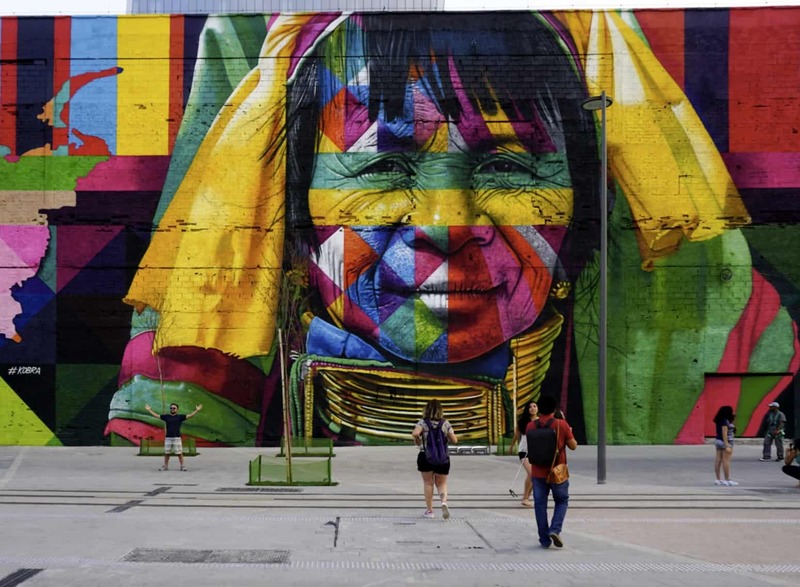 Also São Paulo is a global capital of street art and no-one embodies this better than muralist Kobra. 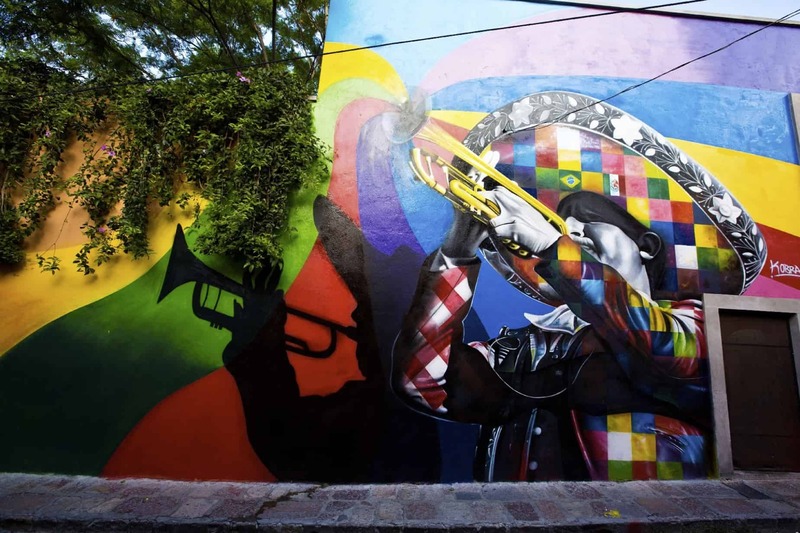 Born in the poor southern neighborhood of Campo Limpo, Kobra learned about graffiti in the early 1980s through his love of hip-hop and by watching movies about New York. 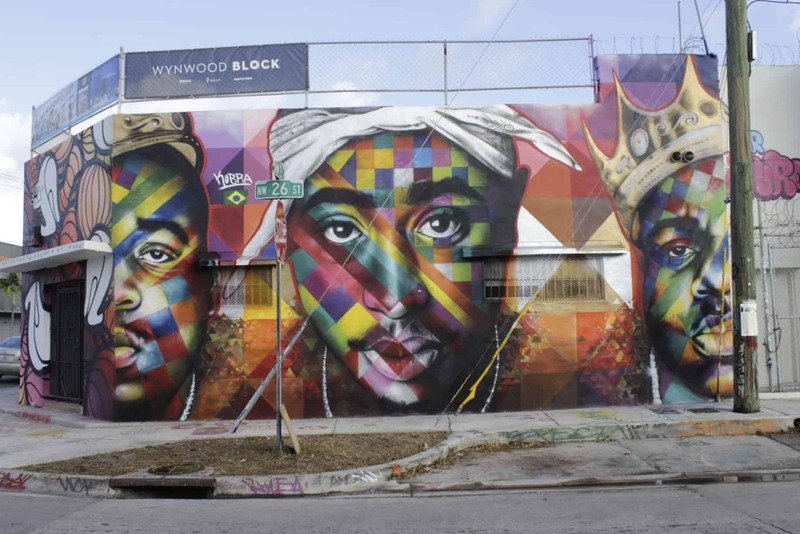 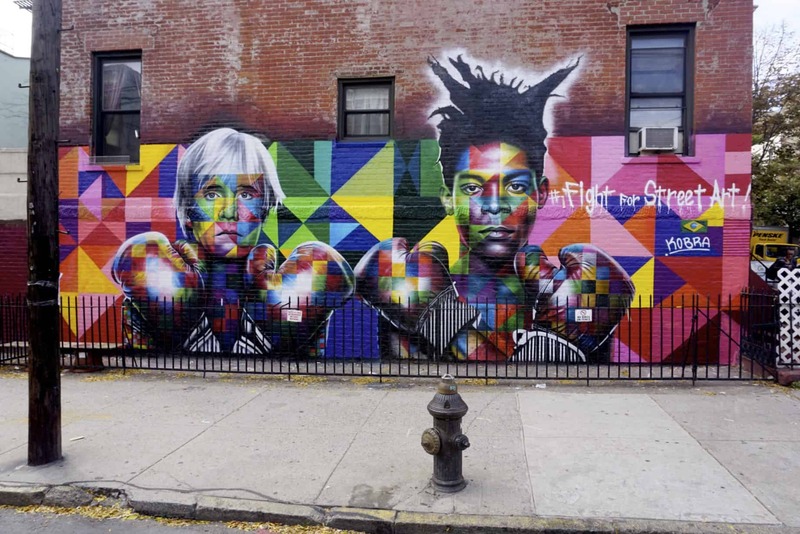 Kobra started drawing on walls in hiding, as tagger, even during adolescence. 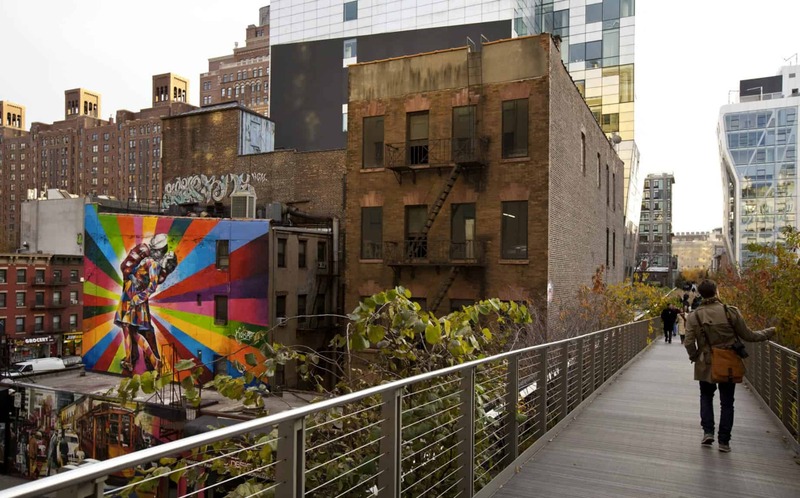 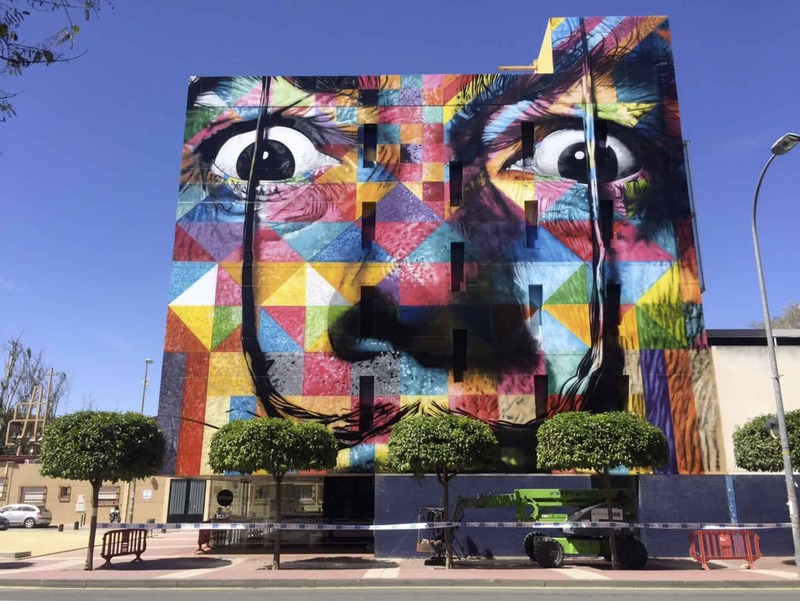 Eduardo Kobra utilizes bright colors and bold lines while staying true to a kaleidoscope theme throughout his art. 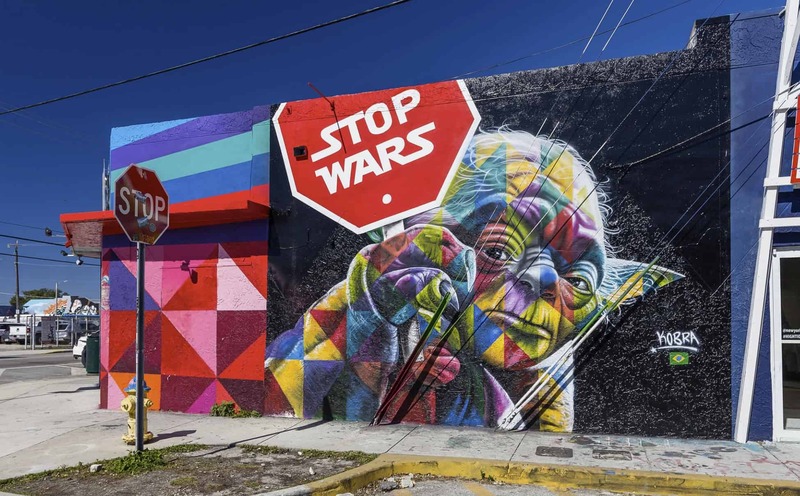 Specifically, his cunning use of brushes, airbrush, and spray cans serve as a means of bringing to life notable figures from the past, emphasizing their true dignified nature and beauty. 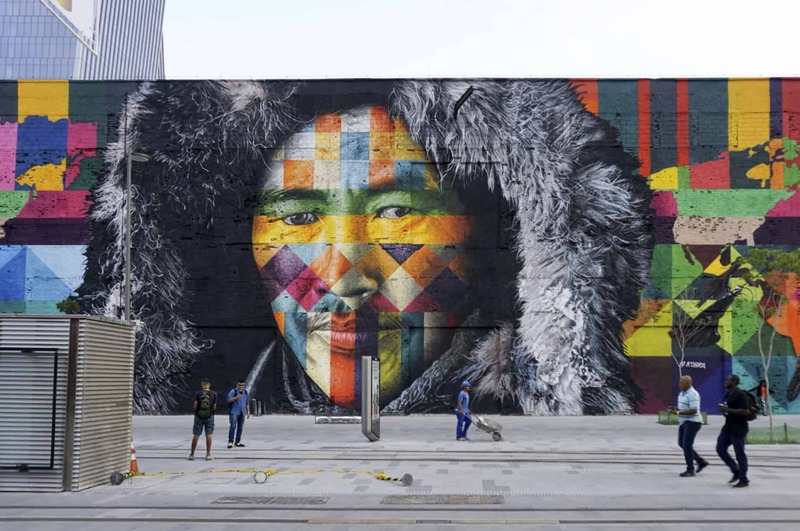 His works range from political issues to music, passing by anamorphosis. 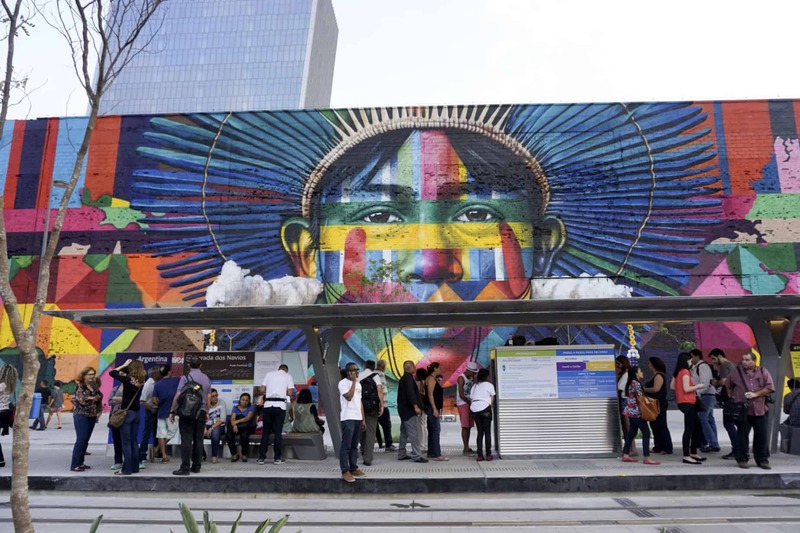 “These are the indigenous people of the world,” says Kobra on the Rio 2016 official website. 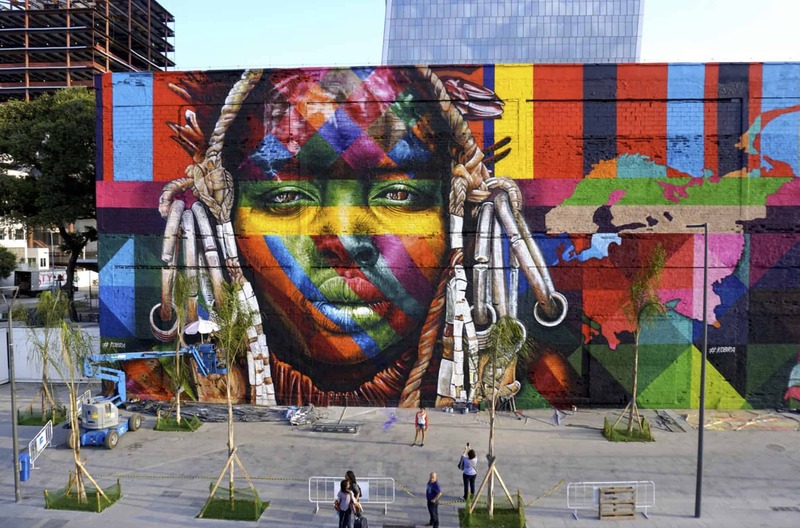 Kobra’s most famous piece to date is Etnias, a massive mural painted to commemorate the 2016 Olympic Games in Rio de Janeiro. 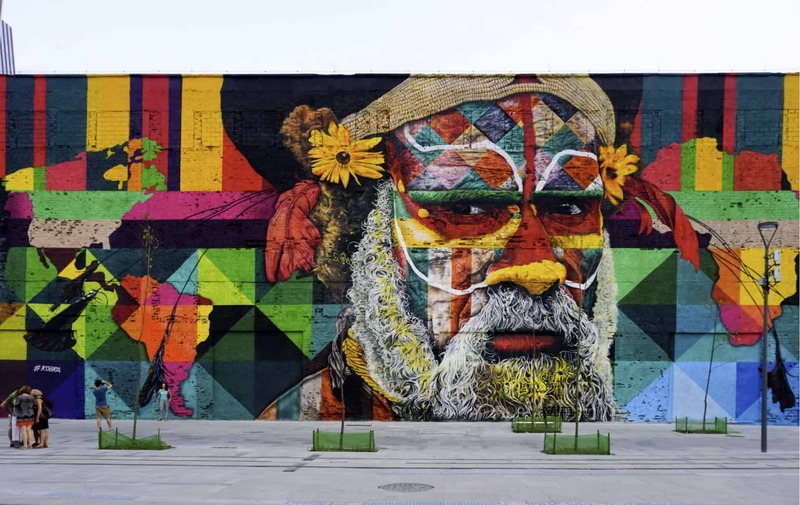 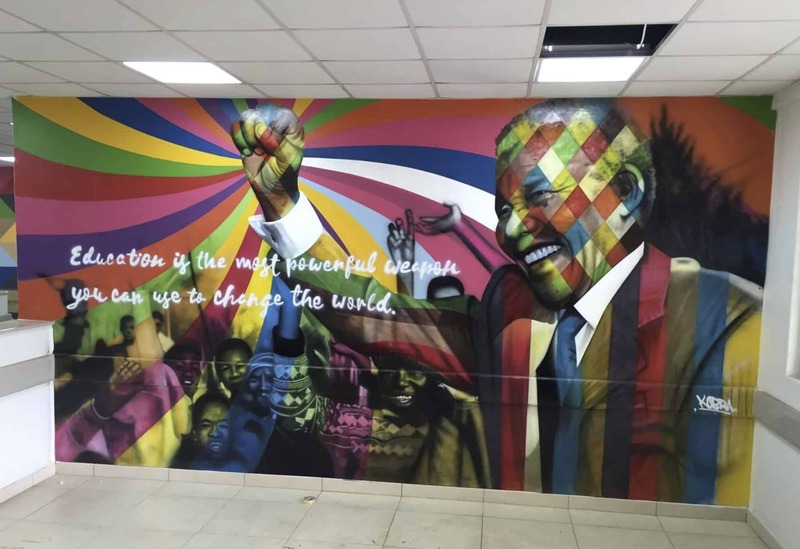 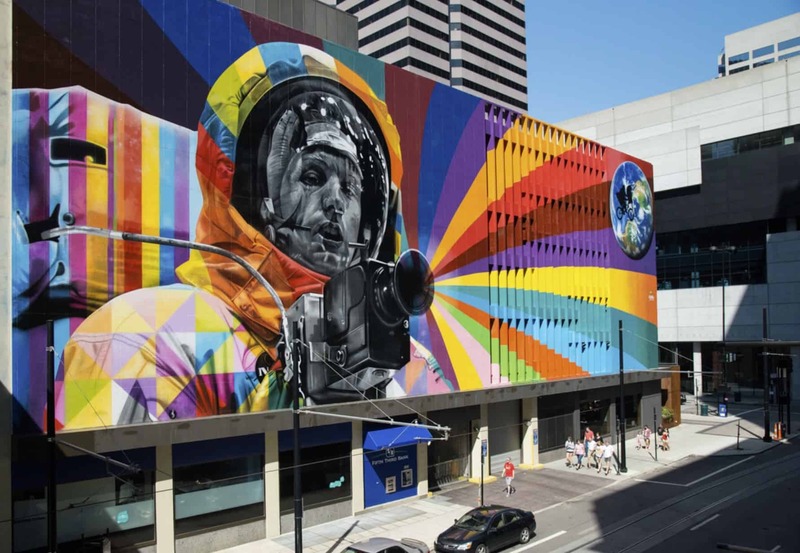 Today, Kobra’s work can be found all across Brazil and five different continents, and he is constantly receiving invitations to create pieces in the farthest-flung corners of the world. 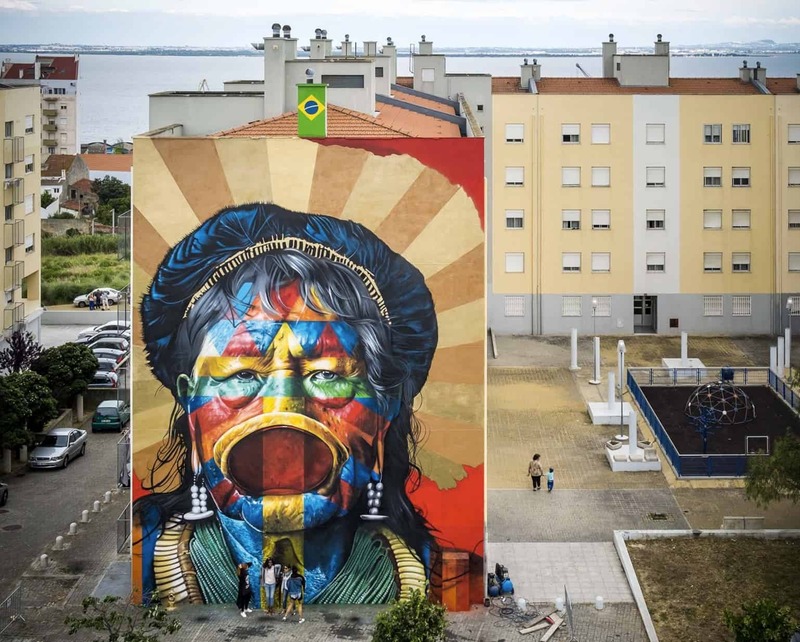 RAONI – Potugal (2017) The first wall of the Brazilian artist Kobra, in Portugal, a picture of the chief Raoni.